Featuring the sublime art of the Blazblue series lead artist, Yuki Kato, World End Syndrome is a horror/romance blended visual novel from Arc System Works. It looks really gorgeous and now, thanks to PQube, we're going to be able to play it in English. "As the first weeks passed, the exchange student grew more and more skeptical, as life has taught him that every rose has its thorn. What could this town's "thorn" be? He found friends in class, joined a club, enjoyed coming home after school and some girls even seemed to be interested in him. This place was too perfect to be true and he started to become scared of what was hiding below its surface." 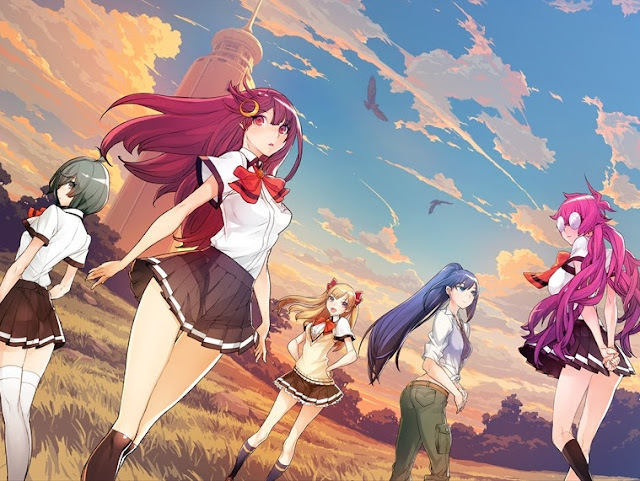 Arc System Works is no stranger to visual novels - in addition to including visual novel-like story sequences in its premiere Blazblue series, it has produced a number of outright VNs set in that universe too. PQube, meanwhile, has been the localisation outfit behind the brilliant Steins;Gate series, and knows how to do brilliant storytelling justice in localisation. With that in mind, there's a lot to look forward to with this game.